Right at the outset let’s clear up a common misconception: the Novus Ordo is not a vernacular only Mass. Of course, considering how most Catholics experience the Holy Mass at their parish on a weekly basis, this might not appear to be the case. No doubt many people believe the Ordinary Form of the Roman Rite is only offered in the vernacular; and why shouldn’t they. For decades the liturgy has largely been devoid of Latin. What was once seen as something universal, unifying and transcendent is now perceived by many Catholics to be divisive, limiting and outdated. Many of the faithful seem to have little or no use for Latin in the Mass. They claim not to oppose availability to the Extraordinary Form for Catholics who prefer the traditional liturgy. What they object to is replacing any of the vernacular in the Ordinary Form with Latin. Many of these Catholics are vehemently opposed to Latin when it comes to the Mass, but this in no way reflects the mind of the Church. For Latin, which is the language of the Church, is also the language of the liturgy. While the Holy Father recognized that “the use of the mother tongue in connection with several of the rites” may be of advantage to the faithful, nowhere did he advocate for the removal of Latin from the Holy Mass. So while the Council fathers imagined a much wider use of the “mother tongue” within the Mass, they still stressed the need for the faithful to learn, say and sing in Latin such parts of the Mass as the Gloria, Credo, Sanctus and Agnus Dei. 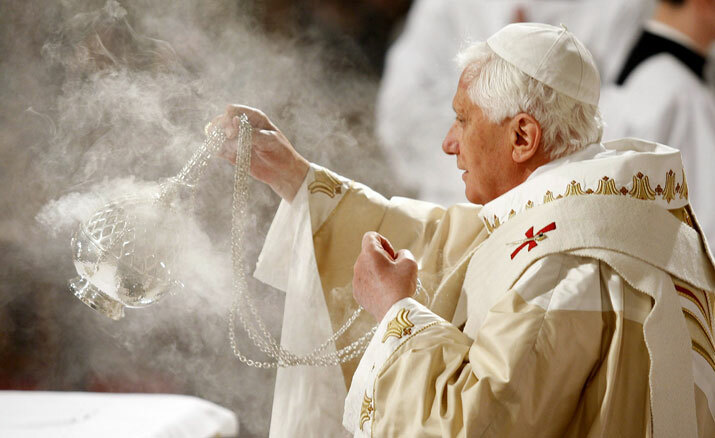 In 2007 Pope Benedict XVI again revisited the place of Latin within the liturgy in his Post-Synodal Apostolic Exhortation Sacramentum Caritatis. “[P]articularly of celebrations at international gatherings, which nowadays are held with greater frequency…In order to express more clearly the unity and universality of the Church…with the exception of the readings, the homily and the prayer of the faithful, it is fitting that such liturgies be celebrated in Latin. Similarly, the better-known prayers of the Church’s tradition should be recited in Latin and, if possible, selections of Gregorian chant should be sung. Many Catholics today are just beginning to experience the liturgical continuity consistent with Mediator Dei, Sacrosanctum Concilium and Sacramentum Caritatis. For some parishes it has become the norm during penitential seasons such as Advent and Lent to incorporate Latin into the Mass, for example at the Sanctus or the Agnus Dei. This gradual reintroduction of Latin into the Ordinary Form of the Mass is beginning to address the rupture experienced by the removal of Latin in the years following the Council. What is still surprising at times is the level of resistance to a wider use of Latin within the Ordinary Form. Despite the consistent teaching of the Church, from encyclicals to Councils to Synods, many Catholics still wish to have the language of the Church restricted to only one form of the Latin Rite. The below clip from Catholic News Service further touches upon the Latin renaissance currently underway within the Catholic Church.